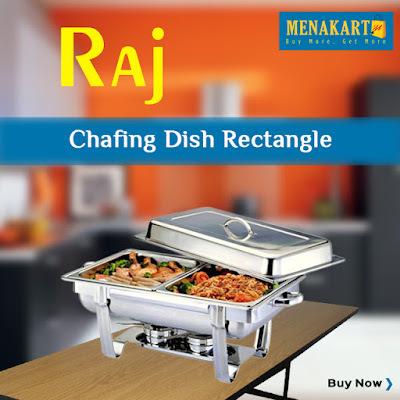 Raj Chafing Dish Rectangle 4 ltr x 2. Folding Frame Chafing Dish. Complete with Lid, Folding frame, Water pan, food pan and fuel holders.